Your enemy attempts a devastating strike, but, protected by the Octavius Leather Gorget, you have no fear. The sturdy leather neck panel is fastened securely to your person, its matching leather straps laced up under your arms. Bolster your safety and style on the LARP battlefield with this handcrafted leather gorget. The rounded neck panel features a mild downwards point at its center, and the wide, attached underarm straps ensure it stays on correctly. Leather straps at the sides of the neck opening allow you to attach a variety of pauldrons to its form, further enhancing your armoured look. 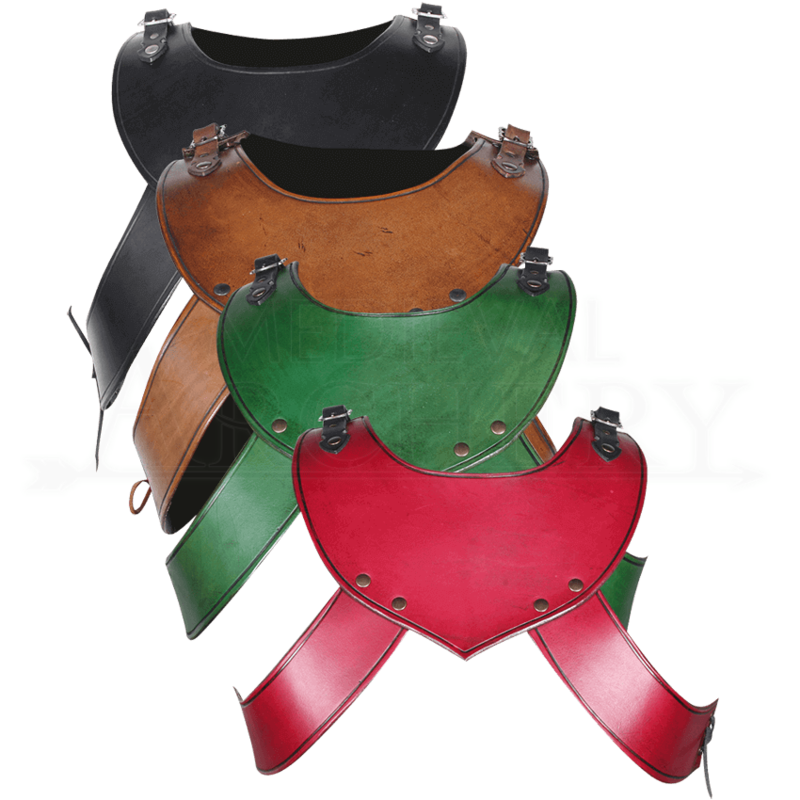 With neatly embossed edges and an attractive antique finish, the Octavius Leather Gorget is ideal for medieval and fantasy LARP, Renaissance festivals, and other armour appropriate occasions. As this item is handmade from natural materials, its appearance may vary slightly from what is shown.